Kshama Sawant was on the radio the other evening arguing for her position on Israel/Palestine and the massacre in Gaza. Unfortunately, she allowed herself to be put on the defensive for most of the discussion, and her performance offers some valuable lessons for those who get into debates on the issue. Time and again, her interviewer raised the issue of Hamas – they are terrorists, they want to exterminate the Jews, they have been putting Israel under a “siege of rocket attacks.” Time and again, this was not answered adequately. What is the answer to these arguments? And it is a condemnation of the US corporate media that they completely fail to cover this sort of thing. Remember Sadam Hussein’s ‘weapons of mass destruction’? Remember how the corporate politicians and the corporate media had the American public convinced of that? It’s the same thing now. 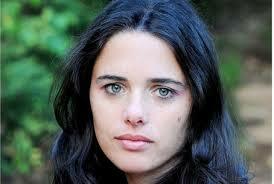 Ayelet Shaked: Behind those green eyes lies a murderous ideology. ANSWER: “Defending Hamas? You want to talk about defending Hamas? I never supported the pro-capitalist Hamas, which is more than can be said for the State of Israel. Just like the US helped finance and support al Qaeda in its early years, Israel supported and helped finance Hamas… But let’s go further. You want to talk about terrorism? What is it when you never know, from one moment to the next whether you will be snatched up by the Israeli military, beaten, abused, thrown in prison for months on end without any formal charges brought against you? Now, Palestinian people are at risk just walking down the street in many places under the threat of gangs of Israeli thugs. ANSWER: You talk about Israel having a right to defend itself; Israel is the aggressor. How about the Palestinians – do they have a right to defend themselves? How about that? “And let’s look at how this present massacre (it’s hardly a war) developed: In 2012, Israel agreed to lessen the siege in exchange for Hamas ending its rocket fire. While Hamas did try to stop the rockets (and bear in mind, they aren’t in total control in Gaza; there are other groups there), Israel tightened the siege even more. They use live ammunition against Gaza fishermen who venture out just a few hundred yards beyond their own coast line, for instance. 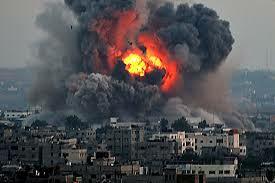 Then, on April 30, Israel assassinated a top Hamas leader in Gaza, even while the rocket firings continued to decrease. On June 11, a seven year old Palestinian boy was killed by Israel. This was followed by the kidnapping and murder of the three settler teenagers. And we should note that while Hamas was widely blamed for it, all the evidence is that they were not responsible, that it was some small, independent group. “In the first place, it’s completely untrue that they’ve been fighting for hundreds of years. In fact, before Britain went in there as a colonial power 100 years ago, the Jewish and Arab communities in Palestine lived together in relative peace and harmony. But as a colonial power, the British knew that they needed to find a base of support in Palestine, so they supported the then-tiny Zionist movement to bring Jews over there from Europe to form, as they called it, their ‘loyal little Jewish Ulster.’ Zionism was a reactionary movement from its inception that always depended on a larger, colonial power and never would have gotten any significant support from Europe’s Jews had it not been for the crisis of capitalism (Hitler) as well as the crimes of Stalinism. Isreal, itself, was founded on terrorism. Don’t forget the town of Dir Yassin, where in the war of 1948 Israeli forces went in and killed every Palestinian man, woman and child they could find and then bragged about it to help terrorize the rest of the Palestinian population and drive them out. “And what has changed today? Do you know about the tweets from young Israelis supporting the killing of Palestinian children? Do you know about the Israeli sniper who has openly bragged about how many children in Gaza he’s killed? It’s that entire history which is why Evo Morales, President of Bolivia, has labeled Israel a terrorist state. The way you’re talking, there will be nothing but war and death forever. You have no answer, no solution. Socialism failed. 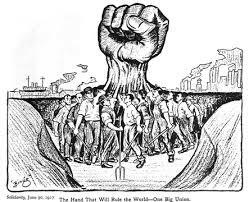 It failed in the Soviet Union and China is turning its back on it too. You are living in the past. That is the sort of response we wish Kshama Sawant had taken. Instead, she based herself on what would bring Israel “peace and security.” One could pick out a few comments here and there where she more clearly condemned Israel, but overall she allowed herself to be put on the defensive. Can it be that she was simply uninformed, or that she was overconfident and didn’t prepare properly? Or is it that she didn’t want to alienate liberal Democratic city council member Nick Licata with whom she seems to be working closely? Whatever the reason, we all make mistakes and we hope that she and Socialist Alternative have learned from this one and will take a more bold, aggressive approach in the future. Her introduction of the letter criticizing Israel in the Seattle city council has opened up an opportunity to more fully expose Israel and Zionism, but not if she allows herself to remain on the defensive.